The above pic happened last week, on the New Year’s Day of 2017. 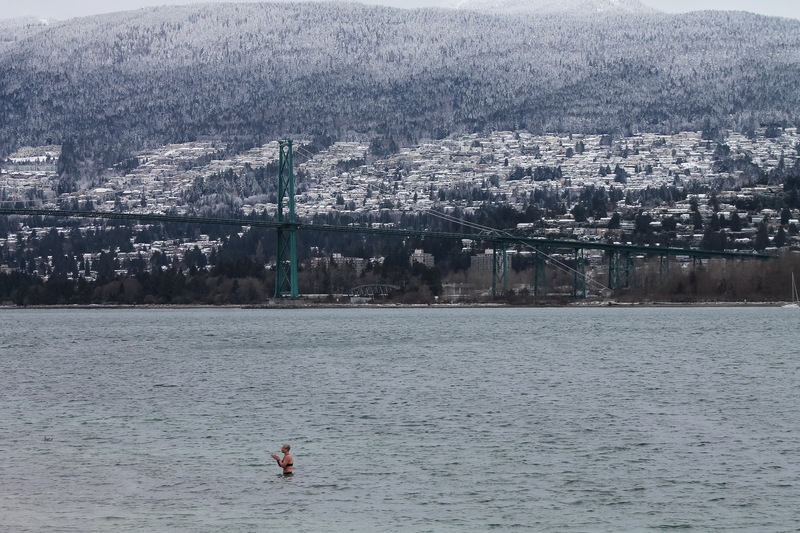 The waters are of the Vancouver Harbour, with the Lions Gate Bridge ahead, and the mountainous (and snowy at the time) regions of West Vancouver beyond, all in the wonderful British Columbia region of the Canada country. But of the day and of fascination, is the lone woman taking a dip in the icy cold waters. I overheard nearby, she was practicing for some attempt at the world record for enduring the freezing water. I think it was 22 seconds, or around that. I didn’t get her name either. 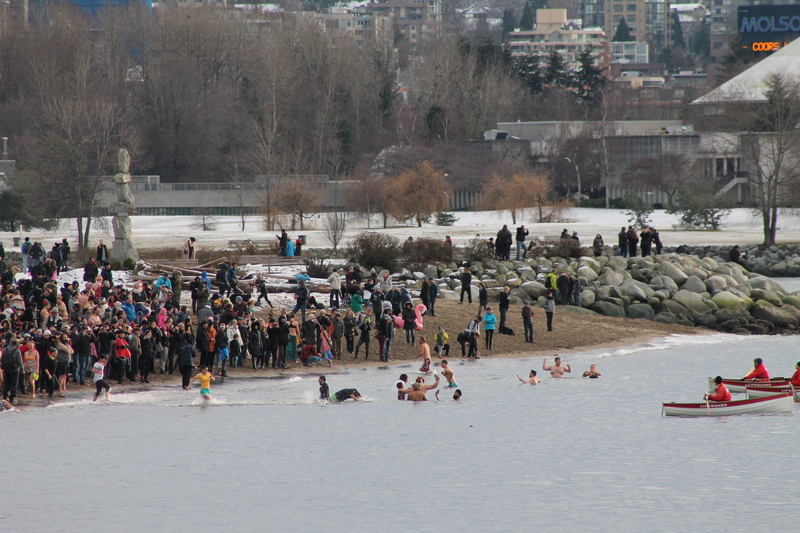 But what I did learn later, was of the annual (97th) Vancouver Polar Bear Swim on the south side of Central Vancouver, at English Bay. Over 1,500 persons dived into the frigidness for a similar and shorter feat, where the waters temped at 7 degrees Celsius (44.6 Fahrenheit). I was a bit late for the main show, yet in time for leftover festivities. Here are some giving it a go. Overall, an exciting and notable day for many in 2017, a surely interesting year to come. Posted on January 8, 2017 by Orion T.	This entry was posted in People, Photography, Travel and tagged 2017, canada, living, Photography, Polar Plunge, travel, Vancouver, winter. Bookmark the permalink. ← Picture of Today 1/3/2017, Horseshoe Bay to Nowhere..